This book invites the reader into the rich inner journey of a woman whose husband died of a heart attack and left her, bereft and alone, in a brand new town. Unlike many who suffer sudden, unimaginable loss, Kreilkamp, 60, did not fall into depression. She describes, in detail, her “year of conscious grieving” during which she formally attended to new widowhood as a precious and short-lived mine of information and inner expansion. Interweaving the many dimensions—visible and invisible, literal and spiritual—to which she was privy during the initial stages of her mourning process, she shares both poignant remembrances and the shocking transformations that moved her and moved through her like squalls. This Vast Being plunges the reader into the dynamics of a difficult marriage that gradually evolved into a union of equals and opened both their hearts. And it reveals the complex inner reality of Jeffrey Joel, a mostly submerged Renaissance Man who, post-death, presented unusual phenomena to demonstrate his existence in a realm that she sensed only a hair-breath from ours; who continued to impart his wisdom after he died and, to her surprise and delight, who invited her into a deeper intimacy than he could afford while embodied. Finally, This Vast Being invites the reader into certain interior spaces of which most of us are not normally aware, and to explore them. As we open to this vast being inside us, we access an expansive awareness that transforms what appears as irreplaceable loss into a magnificent cache of hidden significance. 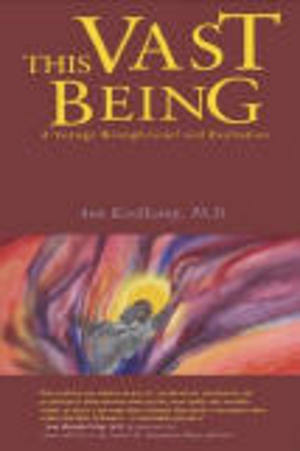 In so doing, this book creates a down-to-earth and unusually inclusive template for human healing.